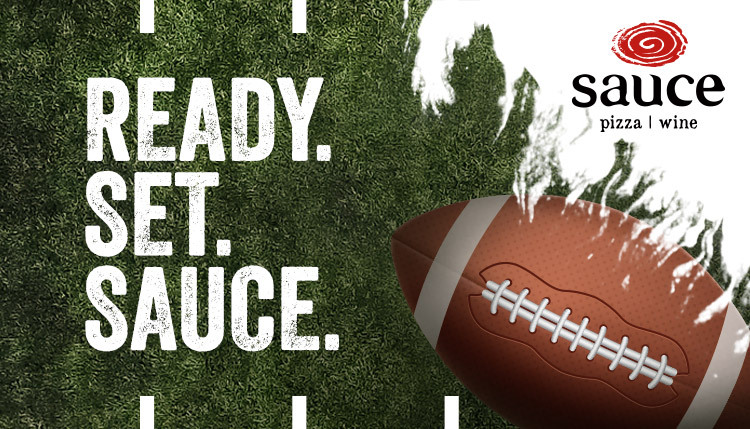 Gear up – the Big Game is almost here! We are just a few weeks away and what goes best with football? Pizza! From now until February 3rd, you have a chance to win a $200 Sauce Gift Card by placing and receiving a Sauce catering pack. Order your favorite Sauce pizzas, pastas, salads, and don’t forget the Mac ‘N Cheese! Beat the rush, and order your catering pack today! One lucky winner of a $200 Sauce Gift Card will be chosen on February 4th, GOOD LUCK! *Prize maximum value of $200. Cannot be combined with other offers or discounts. Valid at all Sauce locations. Giveaway ends February 3rd, 2019. Winners will be announced, February 4th, 2019. For the official contest rules, click here.